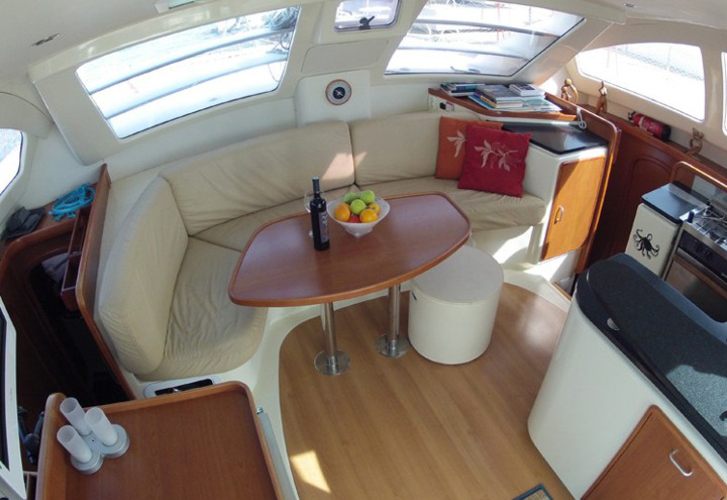 Seamone is a name of sailing boat Leopard 40 ,which was produced in 2007. You can rent her from base Mahe around Mahe. 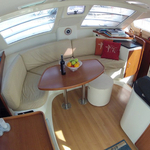 Seamone is equipped with 10 berths. 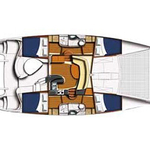 Berths on the yacht are arranged in 10 scheme. 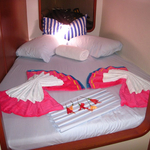 6 cabins are located inside the sailboat Seamone. 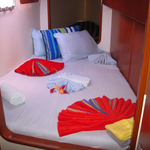 Find our offer under this link: Catamarans Mahe. Crew members can feel comfortable on this vessel , because there are 4 WC for their disposal. Seamone is driven by motor 29. Sailboat's dimensions are: LOA - 11.97 meters , beam - 6.13 m and 1.18 meters of draft. On the yacht you will find following equipment: Radio cd mp3, Gps plotter, Autopilot, Gps, Mainsail with lazy jack, Outboard engine, Freezer, Bimini top. . Caution is 3000.00 EUR. In our search engine you can effortlessly check avalailability of vessel Seamone from Mahe by moving to this section: Catamarans Seychelles.